Lansdowne Florist has been trading from our Bournemouth Town Centre shop since 1991 and we are constantly evolving, seeking new ideas and direction, leading the way in top quality floral gift design for over 27 years! We seek the very best flowers from trusted suppliers in Holland providing our customers with the very best flowers at completely affordable prices. Lansdowne Florist operate from a centrally positioned store in the heart of the bustling Lansdowne quarter of Bournemouth. Although a vibrant resort town, Bournemouth is also home to some of the country’s top Digital Agencies as well as one the UK’s most progressive Universities. Lansdowne Florist is nestled in the hub of the business district and student campus, surrounded by eateries, coffee shops and nightlife. The store itself is a treasure trove of creativity & calm (even when playing our favourite playlists!). Not only flowers, plants and ceramics abound, we also stock a select range of gifts and handmade chocolates. Flower Chief enjoying the Sun! 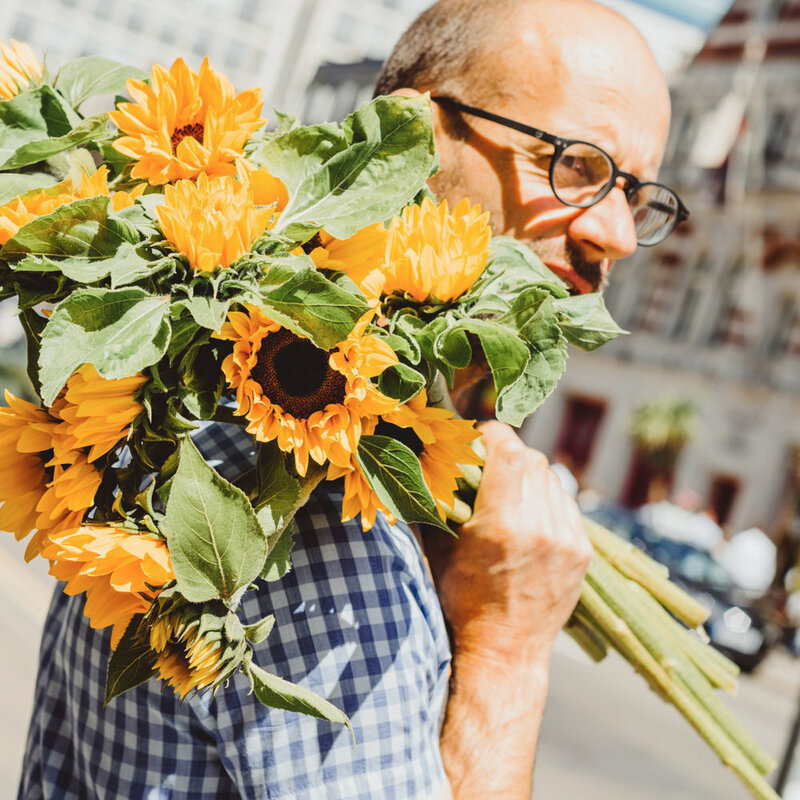 David Ragg oversees the business, and as a third generation florist, has got plenty of years of experience behind him, with a clutch of RHS Gold Medals under his belt. He began working for his parents business many moons ago and has never looked back. His mantra is that “working with flowers should be fun and inventive…” and this holds true to this very day. We totally believe that everyone should access to top quality flowers and floral design at truly affordable prices. Whilst we have a clean modern look, that doesn’t mean we price ourselves above the competition; far from it! Lansdowne Florist tries to recycle the bulk of waste we produce. All of the cardboard packaging, recyclable plastics and glass is collected weekly and we always looking for the best practice to reduce this.